The more users are available to Instagram the more competition you face to grow awareness of your brand on your Instagram feed, so it is essential to ensure that photos you post on your Instagram page would always pop up in other users Instagram feed. 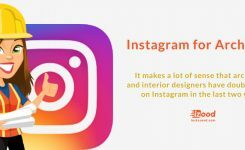 Whether you are on Instagram for business or pleasure, everyone wants to get more real Instagram followers, and it is not just for vanity, it is also an excellent strategy for a business. It is no secret knowledge that Instagram has in a lighting rate become one of the most popular social media apps there is. With over 500 million users daily, it is great for networking, sharing contents and building a community. Growing your Instagram following to get more followers and attracting followers who would be engaged with your page is the best long-term strategy for getting more likes on your photos. It is important to note that firstly, you do not need to be a professional photographer, editor or celebrity with a camera in your hand to always make the photos you are going to post pop up on your followers Instagram feed quickly and easily. 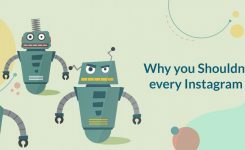 All that is essential for you to acknowledge is that almost 96% of Instagram users operate their Instagram account through their phone and as such they would be viewing your Instagram photos on their phones. Also, another factor to consider is that most people leave their phone brightness on 50% or less to maximize the battery life of the phone. That right there is one of the biggest secrets you would discover which would be very important when editing your Instagram photos. A vast majority of Instagram users online or other social media apps are between the ages of 18-34, this means that they spend most of the time on their phone – they eat, sleep, play and live on their phones. So you are stuck with a couple of hundred Instagram followers, and you want to get more followers. 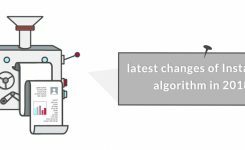 You do not want the Instagram automation generated followers, but you want to get more real Instagram followers who are active, and you can engage with them on your Instagram feed. Since editing is one of the most important element, this means that to get more followers on your Instagram you do not only have to work on Instagram schedule post but also on the quality of photos you post on your Instagram page. The good news here is that editing photos for your Instagram feed aren’t rocketed science, it is not, and it doesn’t require you using a camera or being a professional photographer. It is all about taking a good quality photo which you can do with your smartphone and learning which filter and photo editing tool works best for you on the outside of the Instagram app. Here are few tips that would enable you better edit your Instagram photos to get more followers. Instagram has a default and standard square size for every image you post on your feed. So always remember that if you shoot your photo in a portrait or landscape, your image will have to be cropped to match the standard 1×1 image size. Having this in mind, you can choose to use the square format on your phone when taking a picture as this automatically sizes the image for you. Also, another option is to shoot the picture wider than the square and zoom in the picture when posting. This technique of shooting wider is that it gives room for you to zoom in on the pictures while posting. You can create a collage using the Instagram Layout app. The layout app automatically sizes your photo into a square format and then you also have the option to create a fun and lively collage using multiple photos from a single shoot. You can create a layout with multiple angles and poses of your photo shoot, and it is important not to overwhelm your followers with the photos as you have to be the subject of the photo and not the college. After the photos have been cropped and the right image size has been selected, you can now start with the photo cleanup process. Sometimes the lighting goes beyond our control, but with the availability of various photo editing apps available it is possible to edit photos from your phone with the skill of a Photoshop editor. It is essential to note while editing that you have to choose your style, would you opt for subtle colors or a mute color or would you rather just clean and sharpen the photo. Once you have selected the style you need to be consistent with your style of editing as this would not only help improve the theme of your Instagram page but also help strengthen your brand. Remember that less is more; do not overwhelm your photo with edits. Instagram users engage more with images that have both a realistic and professional outlook. This might seem like an idea that shouldn’t have to be emphasized, but you would be surprised at how many people do not take high-quality photos. And the fantastic news here is that you wouldn’t need a digital camera that would cost you a few hundreds or thousands of dollars to take a high-quality picture. All you have to do is make sure you have enough lighting, and try out different angles while taking your photo. One effective strategy to editing your Instagram photos to get more followers is being consistent with your filtering theme, though this may sound frivolous it is a technique that has been shown to get more followers while improving the quality of your photos in your Instagram feed. Opting for the same set of filters to edit your photos every time you post on your Instagram feed helps in ensuring that you create and more importantly maintain a consistent theme about your visual identity on your Instagram page. This strategy of maintaining consistency about your visual identity ensures that your photos are instantly recognized by your followers, increasing your brand awareness and at the same time getting you more like through the engagement of other Instagram users. I’m sure the term “lux” should in most cases be foreign to you. But the truth is that if you have edited your photo on Instagram, the chances are that you have used the lux even if you were not sure of what it is called. The Lux feature ensures that your photos come out looking more vibrant and also brings to highlight the smaller details. You can activate the lux filter by tapping that sun icon above your photo after you have selected the filter you would use for your photo. Then you can adjust the lux filter, contrast, and saturation to your style. You can open up Instagram’s simple editing tool by clicking on the wrench icon below your photo on the right-hand side. From here, you can work with contrast, brightness, saturation, warmth, highlights, shadows, sharpness, structure. You can just keep going through them all until you have found one that suits your taste and style. But always ensure that what edit you use, you strive to achieve the best lighting shade. If you are posting an album or uploading multiple pictures on Instagram, it is important to edit each photo individually. Let’s say you are uploading more than one photo, and you have to be aware of a kink that could arise when you start editing your photos. When one selects the first photo, upload to Instagram as usual, and then you proceed to the tap icon which allows you to select up to 10 multiple photos at once. Select all the photos you want to upload to your Instagram feed and click next. You should resist the urge the just start picking a filter and editing from the list of filters at the bottom of the image, this is because if you dive in straight away to select a filter from the menu below, you would be applying the same filter to the all of the photos. To avoid this, click on the Venn-diagram icon below the image on the left-hand side, this will enable you to edit each photo individually. When you are done editing one photo click the done icon and you can proceed to another photo to edit on. When it comes to uploading photos to your Instagram feed, photo quality is very essential. Instagram is one of the most significant social media apps out there which is vital for networking and improving the awareness of your brand. You need to keep your head in the game by ensuring that all photos you upload on your Instagram are of high quality and this would engage other Instagram users thereby giving you the platform to get more followers. Why you shouldn't use every Instagram bot?